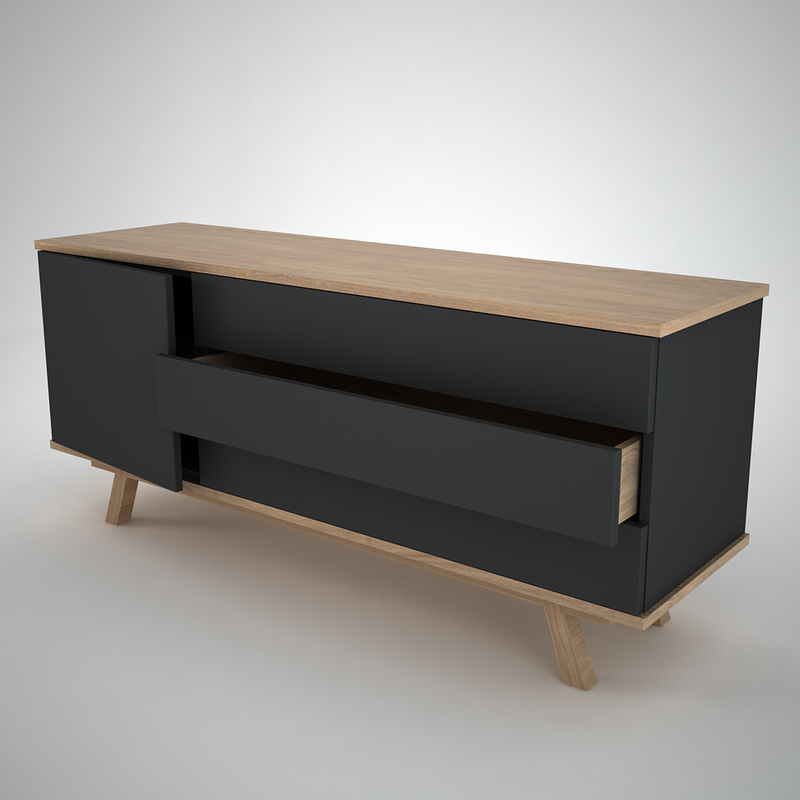 Beautifully designed modern sideboard storage with solid oak support frame. This anthracite lacquered, modern sideboard offers a fresh design approach to the traditional storage solution, designed and manufactured in the UK to the highest standard of craftsmanship. This Anthracite modern sideboard 1 door + 3 drawer version comprises 1 single door outer compartment and 3 long drawer storage compartments. The door compartment comes complete with an oak finished shelf. Doors and drawers are finished without handles for a modern and refined design aesthetic. 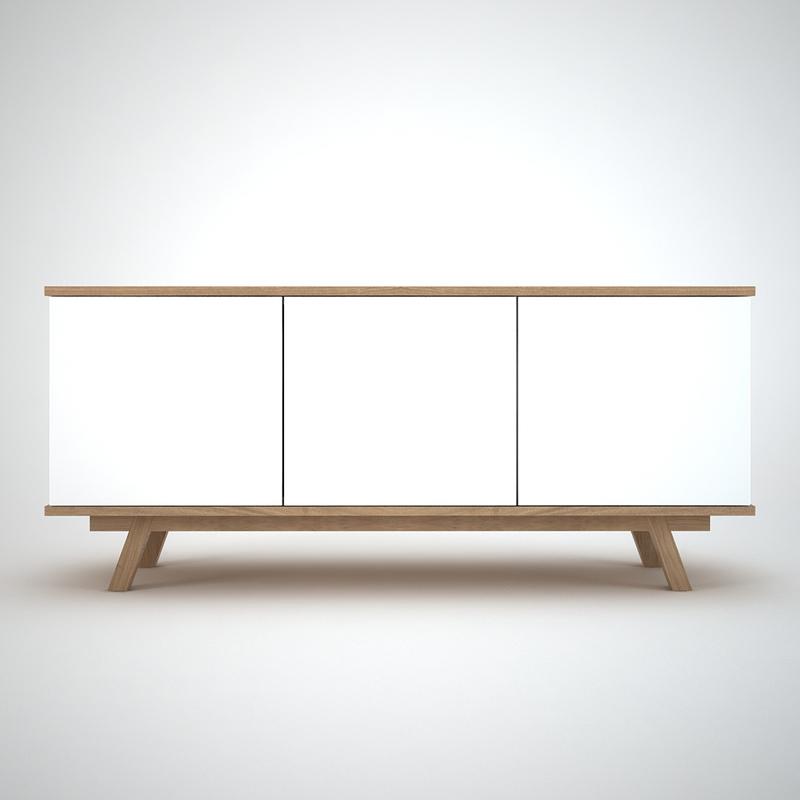 The handle-less doors and drawers are effortlessly operated via push release hinges and runners. 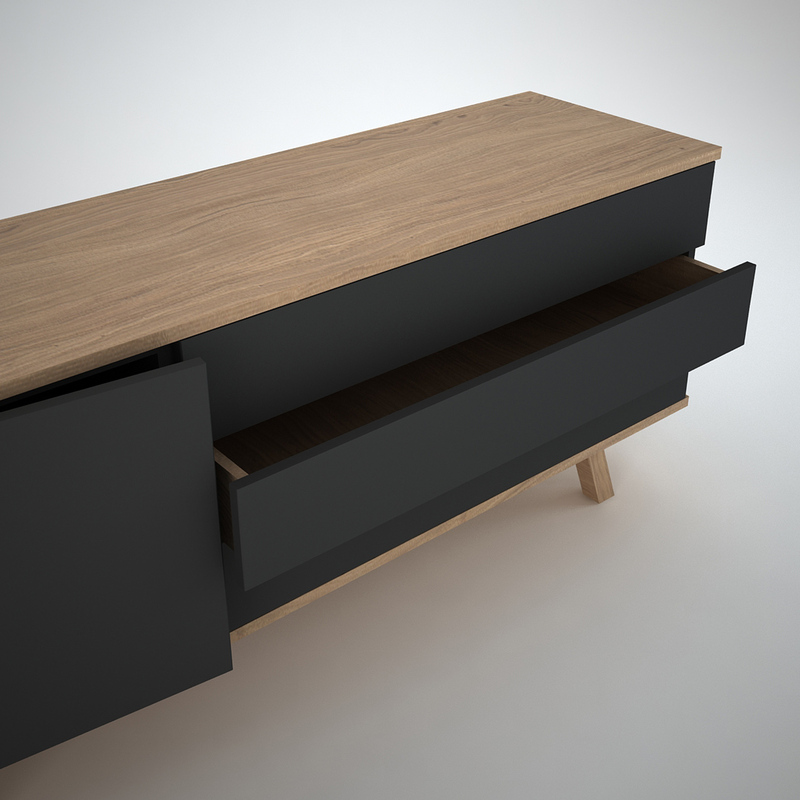 The storage compartments are supported on the underside by an oak finished board and retro styled solid oak leg frame. These retro hints combined with modern functions offer a unique contemporary storage solution for the home or office. The Anthracite single storage compartments are completed with one oak shelf. The unit can be ordered with cable management holes if required. Beautifully designed & crafted modern sideboard storage with solid oak support frame. This modern unit offers a fresh design approach to the sideboard storage solution, designed and manufactured in the UK to the highest standard of craftsmanship. 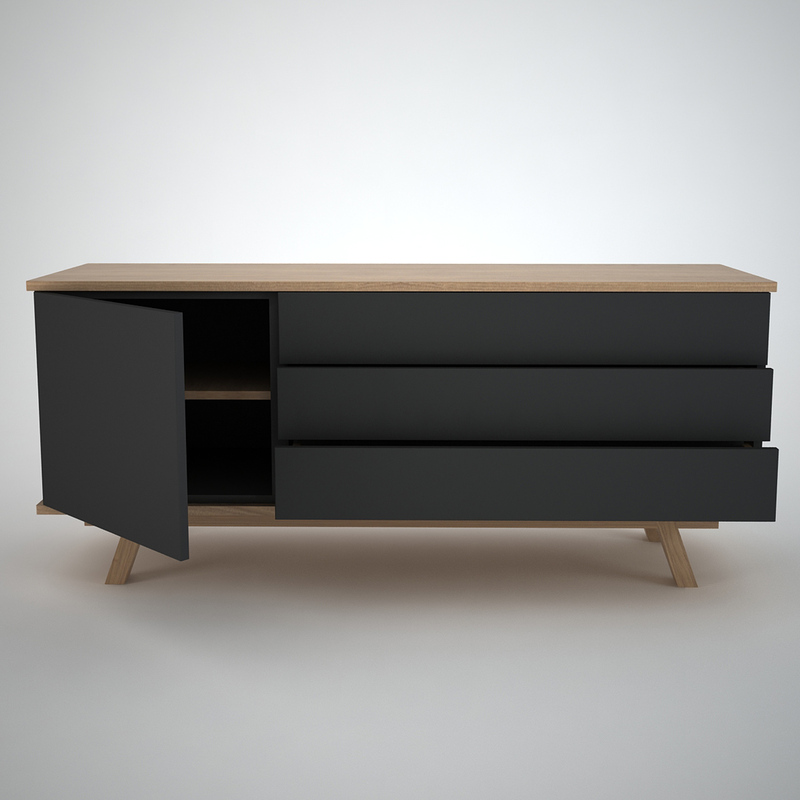 Size: This Contemporary Sideboard is available in two sizes. Bespoke sizes available on request - please contact us with your requirements. Beautifully designed & crafted contemporary sideboard storage with solid oak support frame. 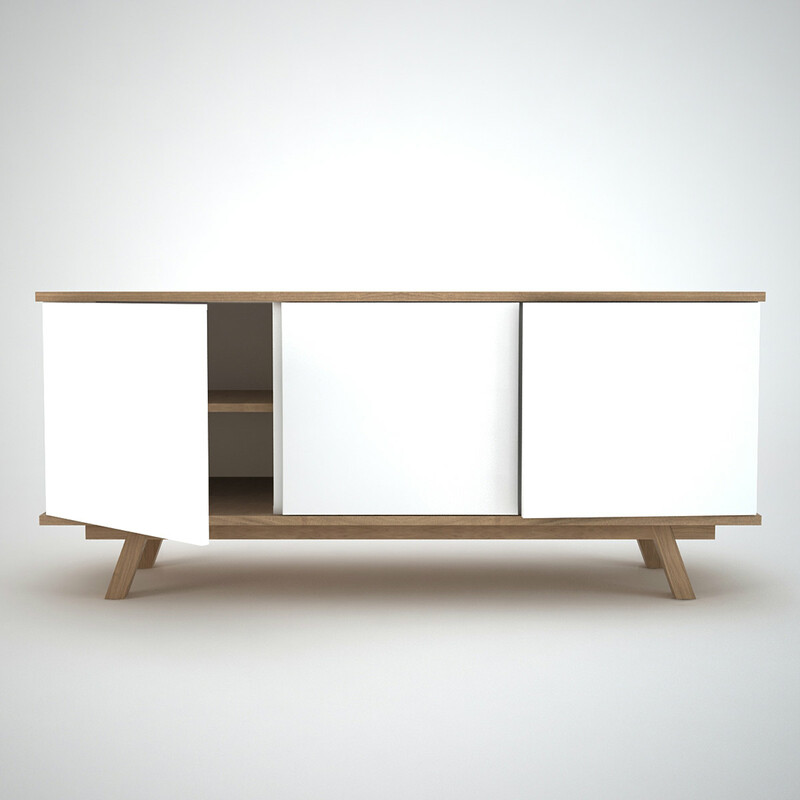 This sideboard offers a fresh design approach to the sideboard storage solution, designed and manufactured in the UK to the highest standard of craftsmanship. 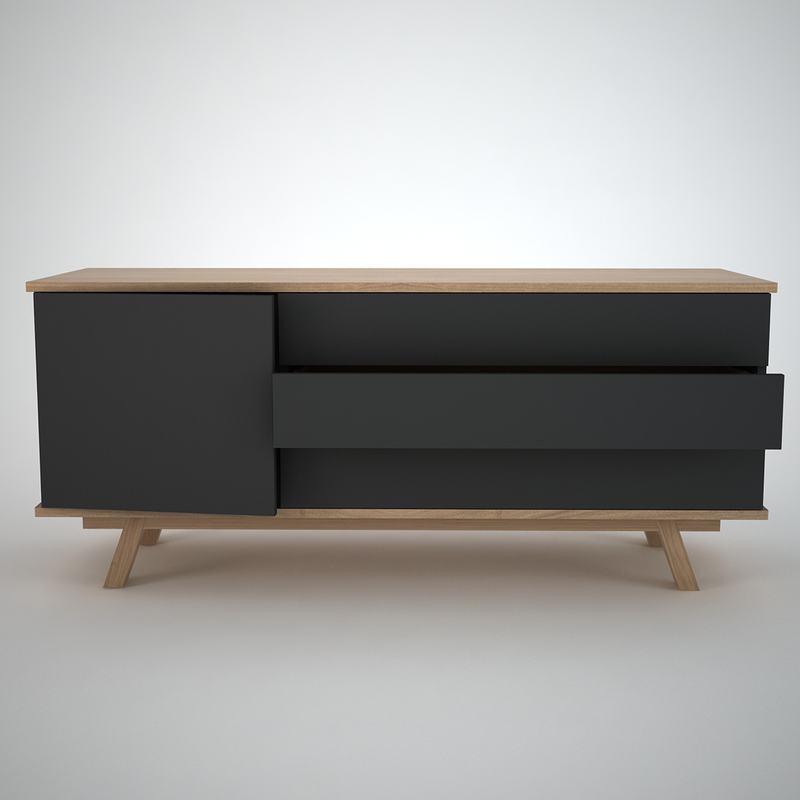 Size: This Contemporary Sideboard is available in two sizes. Bespoke sizes available on request - please contact us with your requirements.